The Next Stage: Women and Retirement: Where are the daffodils? 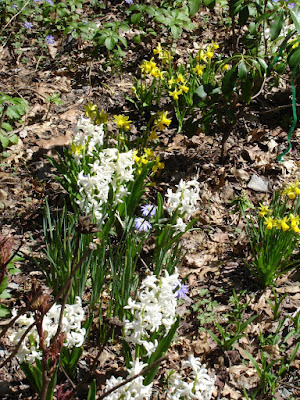 I have been keeping garden records for about 20 years now; there is variation from year to year, but in all my gardening years spring bulbs have never been as late as this year. 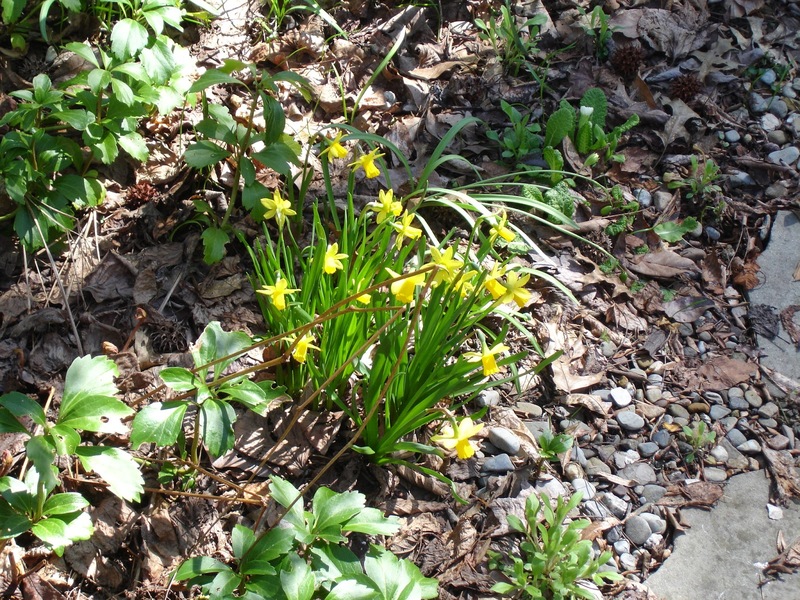 Early daffodils (February Gold, Early Sensation, Ice Follies, and Tete a Tete) have come as early as late February (not usual) and as late as the third week of March, but this is the first year in which I have NO daffodils on March 31. 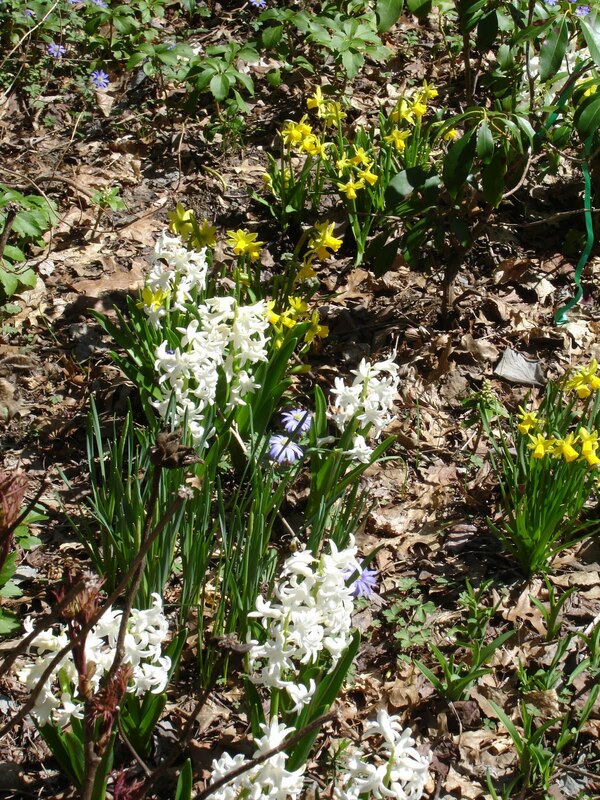 Usually at this time of the year I have early daffodils and a few white hyacinth. For some reason the white hyacinth always emerge before the blue hyacinths. 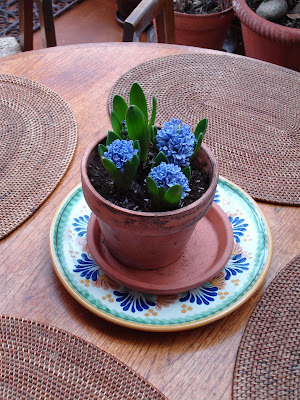 This year the only hyacinths I have are the ones I forced in an old refrigerator in our basement. The succession of bloom can always be counted on: daffodils appear after crocus, tulips after daffodils, allium after tulips etc. etc. But the timing of this parade of blooms can vary. I hope with the warmer temperatures we are supposed to get this week, the daffodil show will begin. 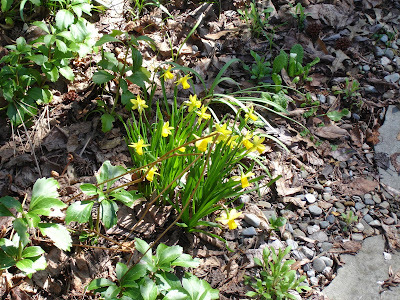 There is nothing, nothing more cheerful than a bright yellow daffodil. I long to see one!